Computer Resource Inc. specializes in whole unit sales & spare parts sales for the entire IBM midrange marketplace. We carry a comprehensive line of fully refurbished line matrix printers and spare parts such as the IBM 6400 series, Printronix P5000 series, Genicom 5000, 3800/3810/3840 and 4440/4470/4490 series. 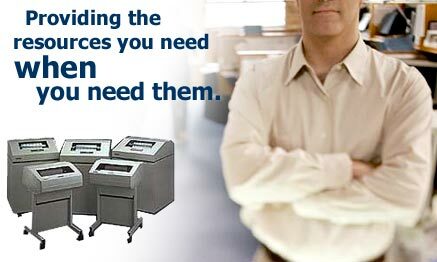 In addition to our matrix printer line, we stock a complete array of Laser & Thermal pinters and spare parts from leading manufacturers like Lexmark, IBM, HP, Zebra, Intermec, DataMax/Prodigy and Printronix. Call our experienced staff TODAY for information on all of our products and services: (609) 631-4480.